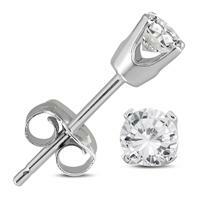 A brilliant pair of diamond solitaire earrings set in 3 prong martini settings crafted in 14K white gold. 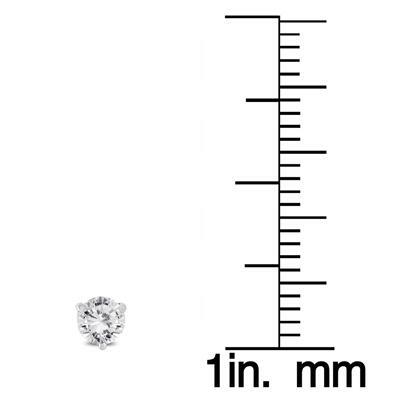 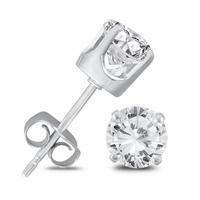 The earrings have a total diamond weight of 1/4 carat. 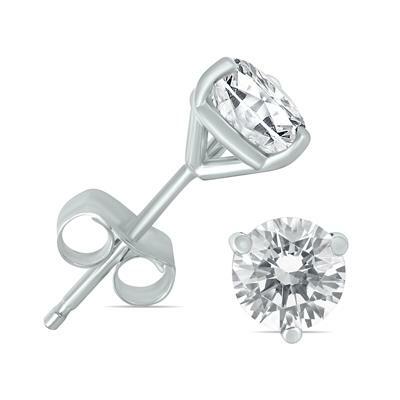 Two round diamonds are hand set and matched on these exquisite and stylish martini settings with push back posts. 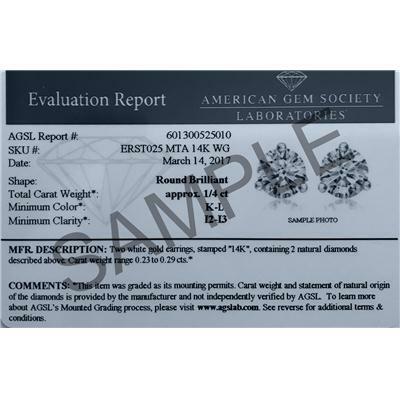 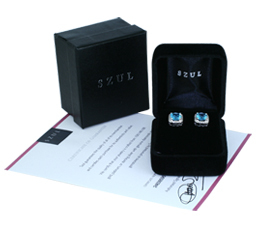 The earrings come an AGS certificate (American Gem Society) verifying diamond quality. 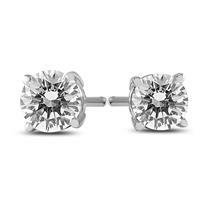 A brilliant pair of stud earrings, essential for any jewelry collection. 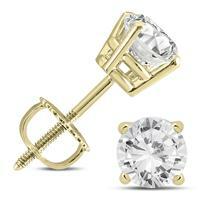 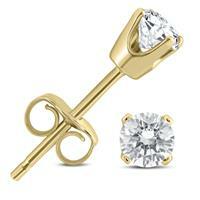 A great value on diamond solitaire earrings perfect for everyday wear.